So far Kyo Uchida has created 5 blog entries. 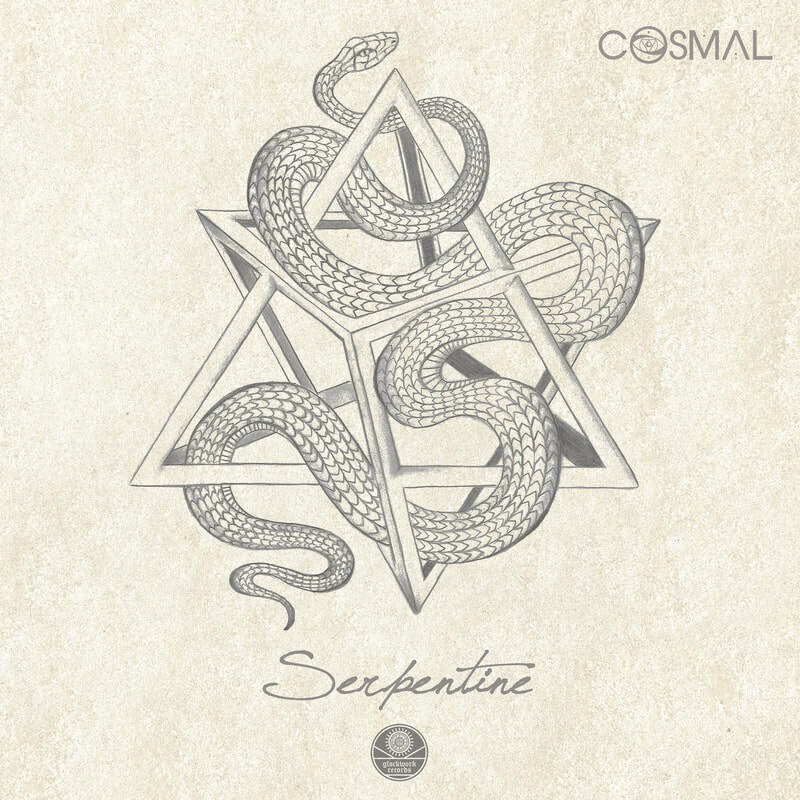 We are excited to announce that Cosmal’s latest single “Serpentine” will be releasing on all major platforms on October 1, 2017, courtesy of Clockwork Records. Serpentine is Cosmal’s take on modern bass music with a hint of Psy influence. Look out for more release announcements this fall! 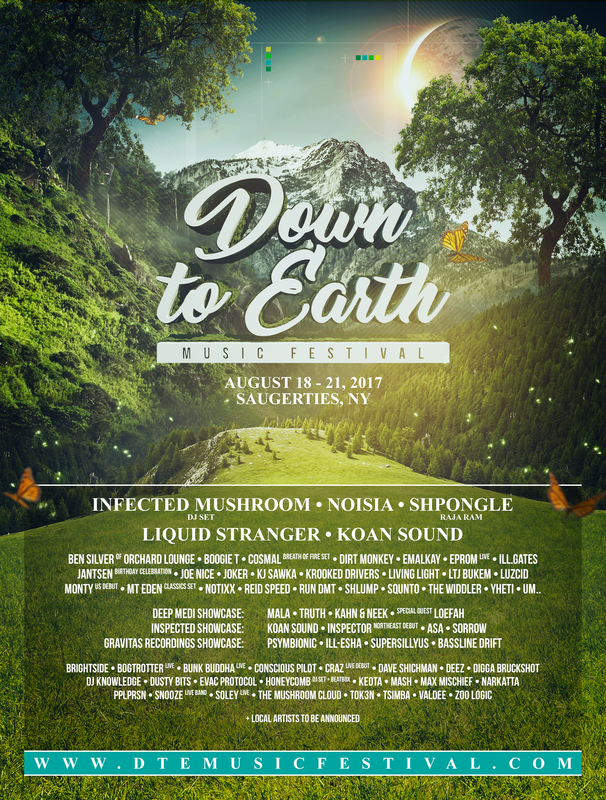 Conscious Minded Media has teamed up with our good friends at Contrast to bring you our best lineup yet for Down to Earth Music Festival, August 18-21, in Saugerties, NY! This stacked lineup features such esteemed acts as Infected Mushroom, Noisa, Shpongle, Liquid Stranger, Koan Sound, and more! Cosmal will be debuting their brand new “Breath of Fire” performance, which will feature a choreographed fire spinning performance, LED flow artists, and more! 2017/01/29: INFINITE DIVINE LP NOW AVAILABLE VIA MALLABEL MUSIC! 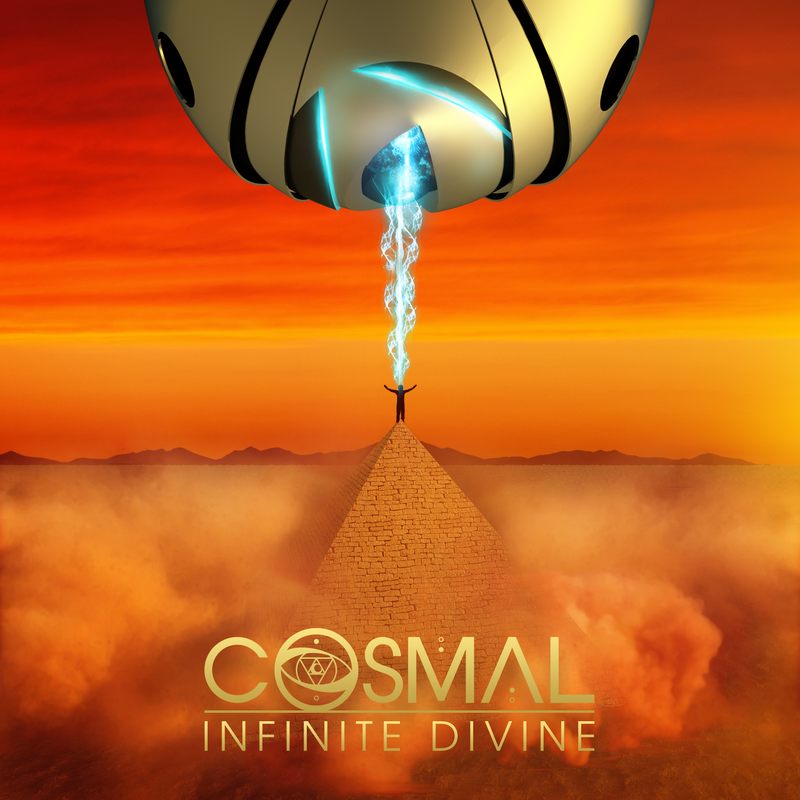 The Infinite Divine LP is finally available across all platforms, courtesy of MalLabel Music! Stream for free on Spotify and SoundCloud, or download directly from BandCamp, iTunes, and more! Physical copies can be ordered or purchased at shows! Check out this compilation featuring Cosmal’s newest single “Vida.” The compilation features a slew of choice producers from both the east and west coasts. 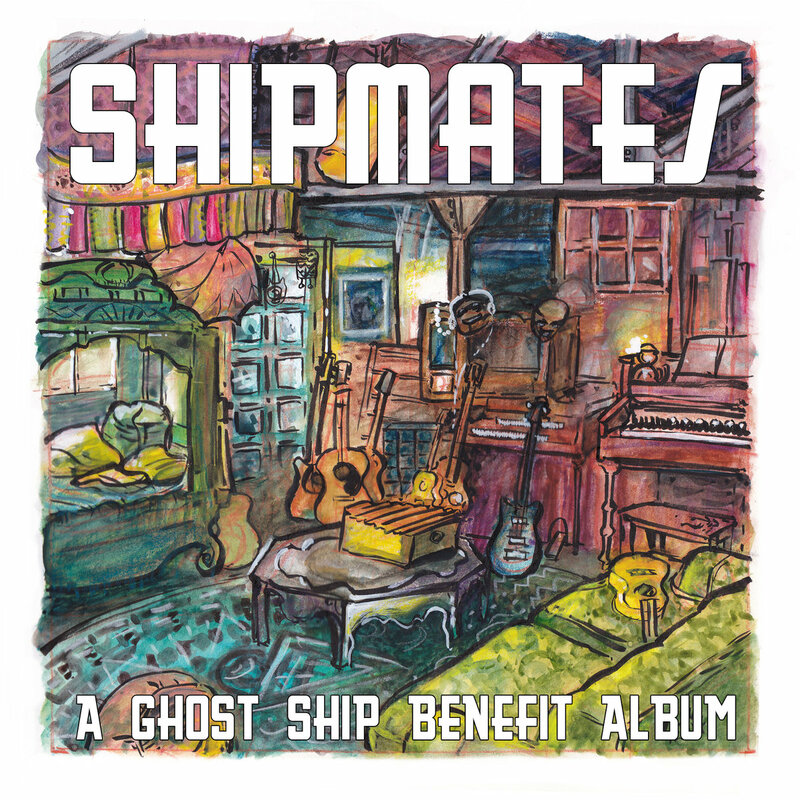 All proceeds for this release will be going to the fire relief fund in an effort to help those affected by the Ghost Ship Fire in Oakland, CA this past fall. 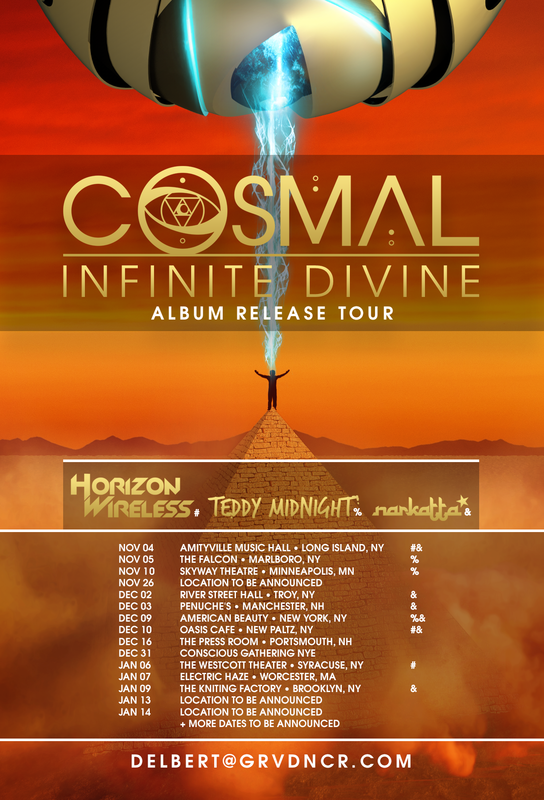 We are very pleased to announce the first round of dates for Cosmal’s Infinite Divine Album Release Tour featuring Horizon Wireless, Teddy Midnight, Narkatta, Zoo Logic, and more! We are also very pleased to announce the first official Ali Laz DJ sets in Minneapolis MN, Syracuse NY, and Brooklyn NY! Album release dates and record label information to be announced soon, see you guys out there America!